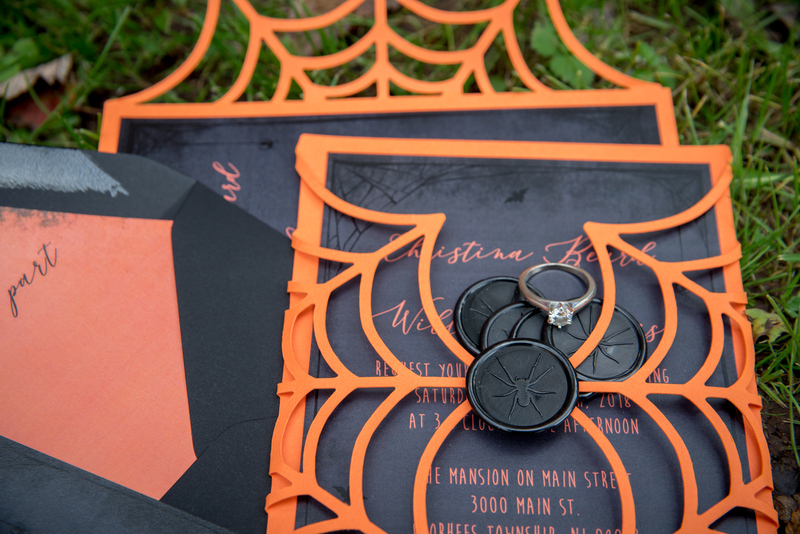 Raise your hand if you love Halloween as much as I do! 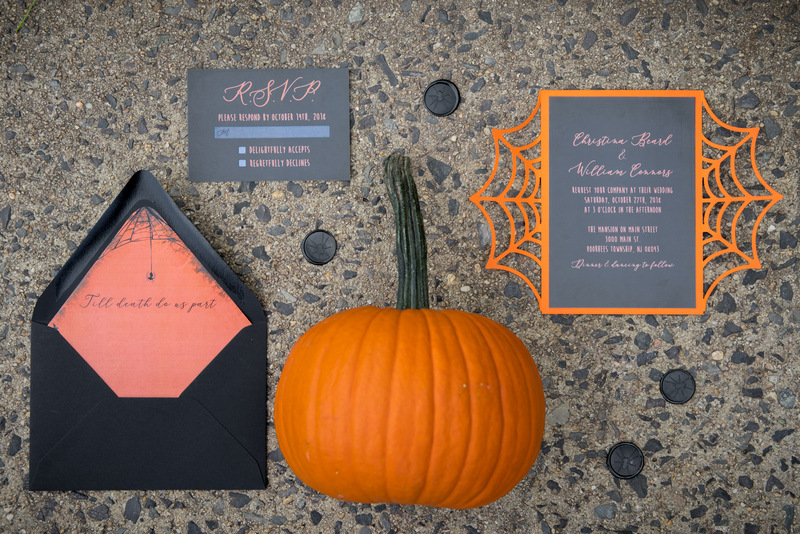 It’s my favorite time of year – mostly because it’s fall, the colors of the leaves are so pretty and it’s just plain old fun. 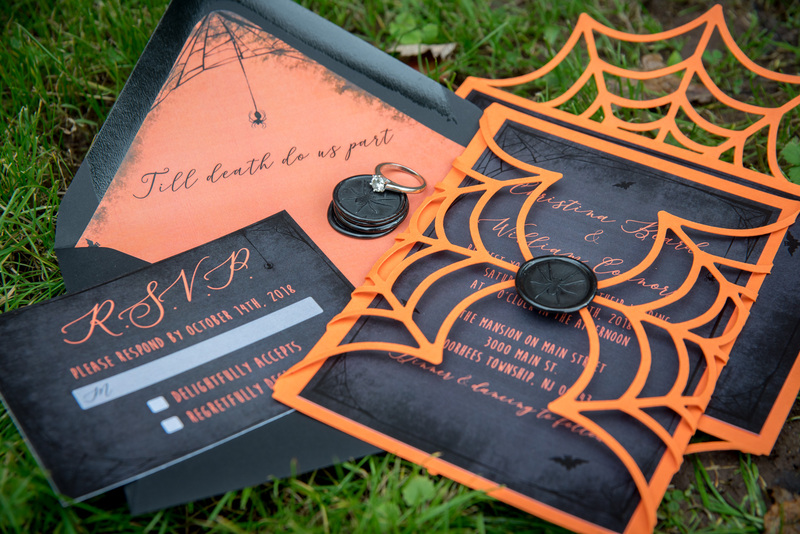 I wish I could say I’m photographing a Halloween wedding this year (someone PLEASE make my dreams come true next year!). 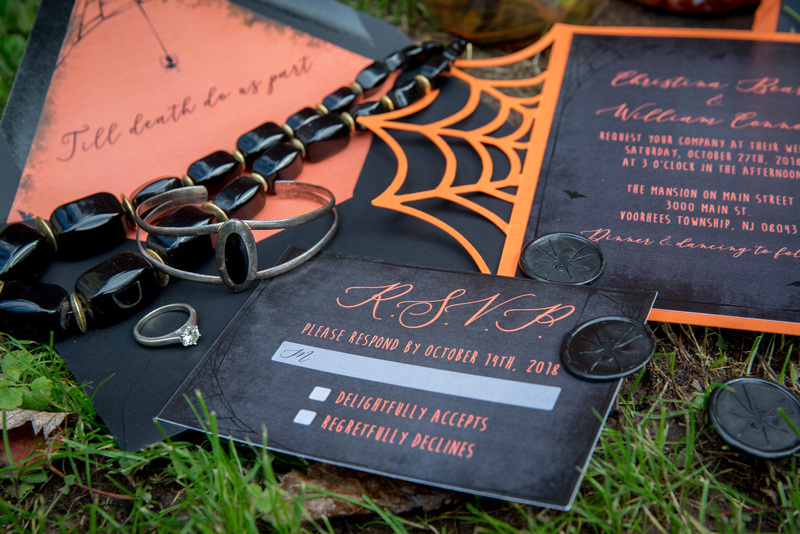 So in the mean time I had some fun playing around with these spooky Halloween wedding invitations made by Royalty Paperie. 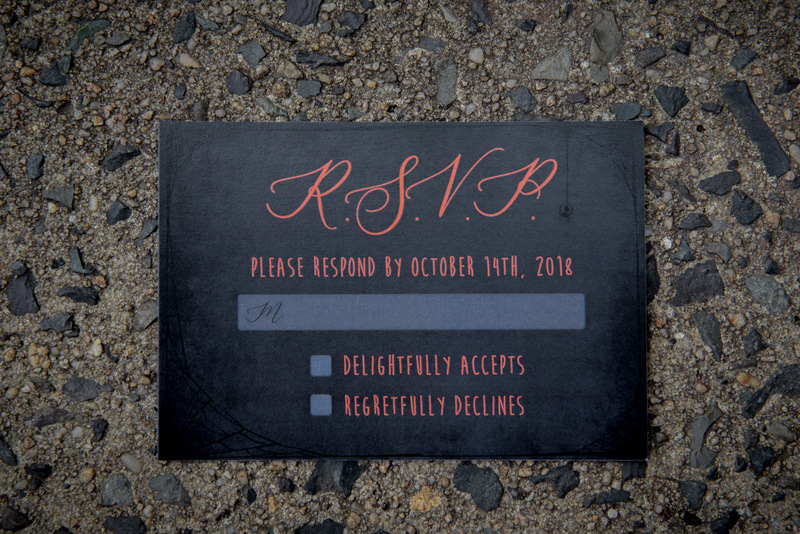 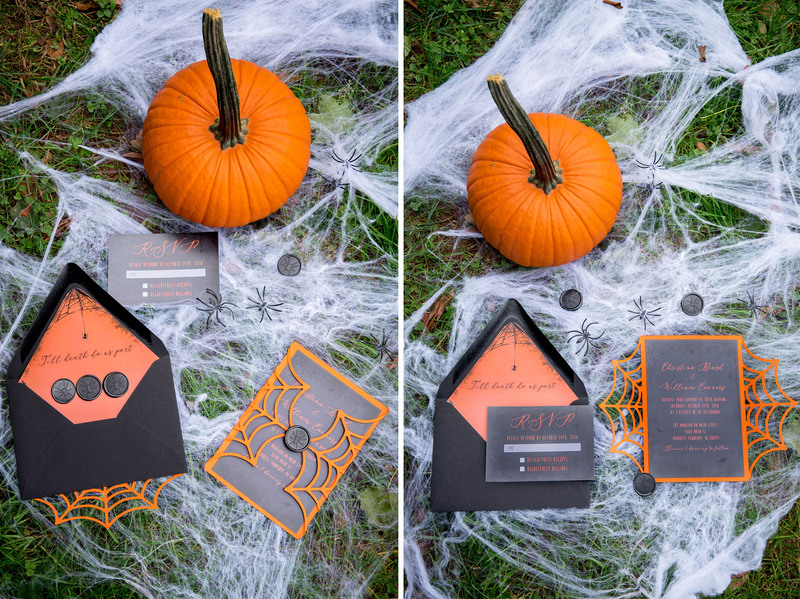 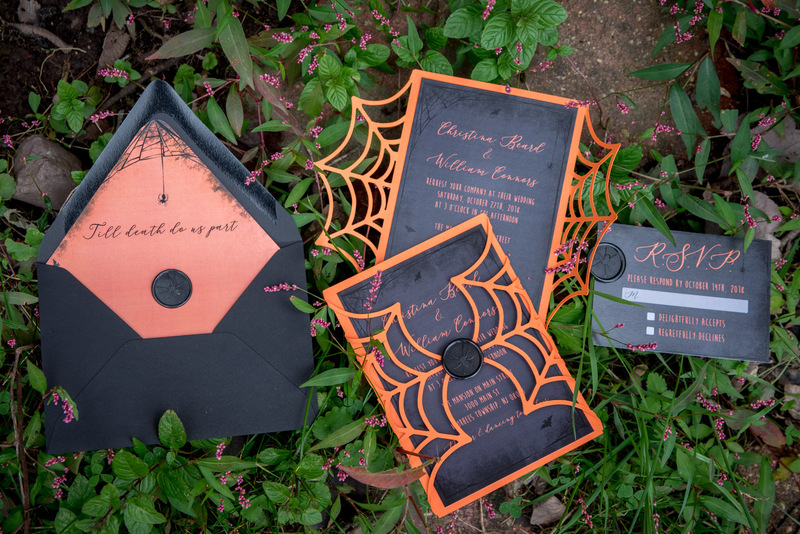 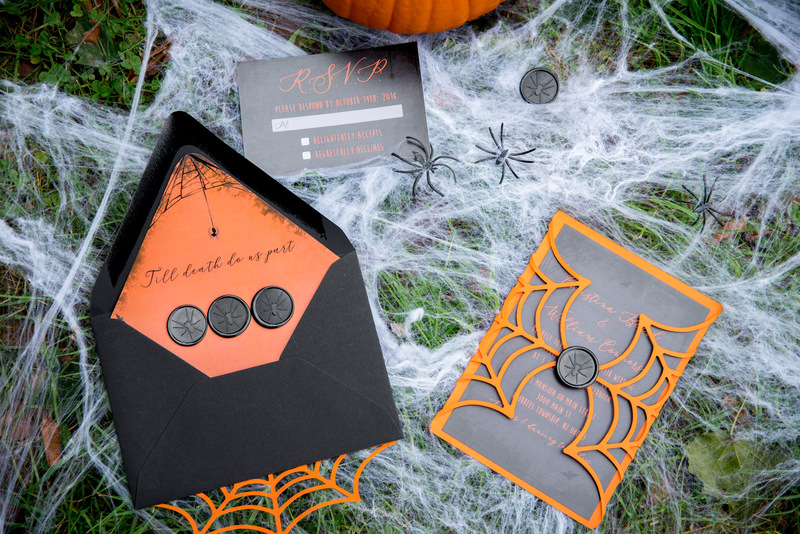 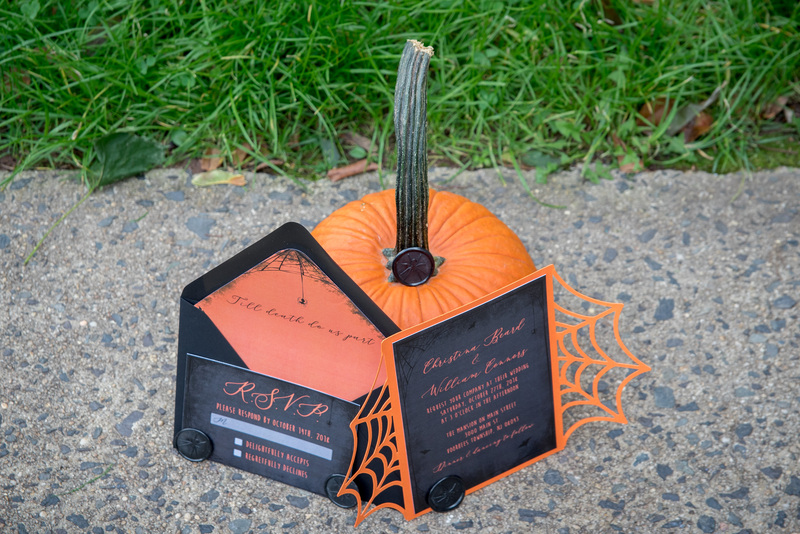 Christina send me this too cute custom Halloween inspired wedding invite suite last week. 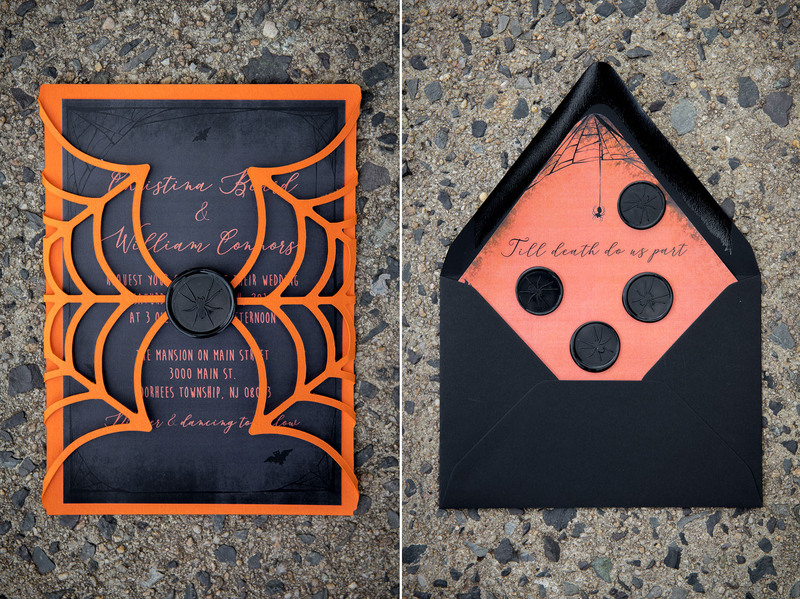 Just in time for my favorite holiday! 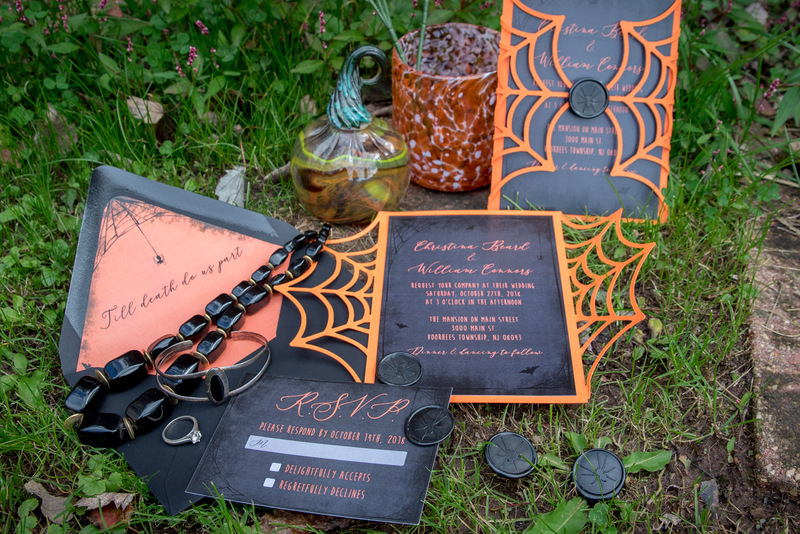 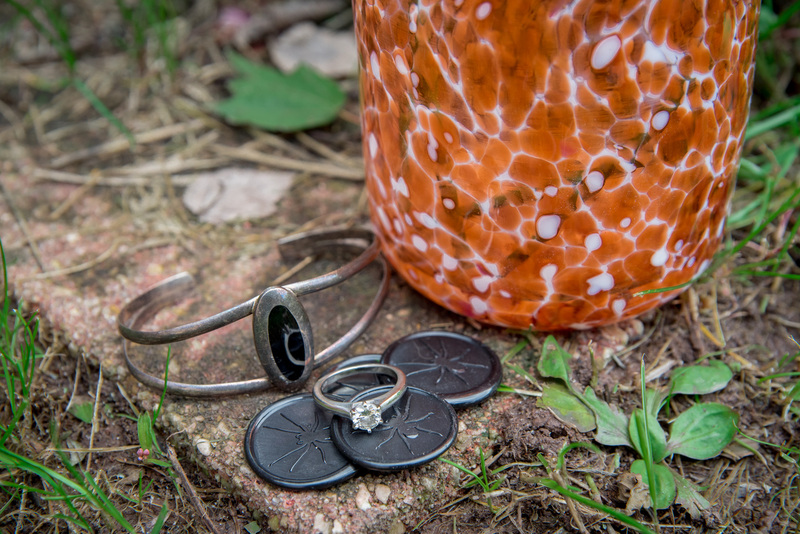 I had so much fun playing around with them, making some creative Halloween wedding inspo. 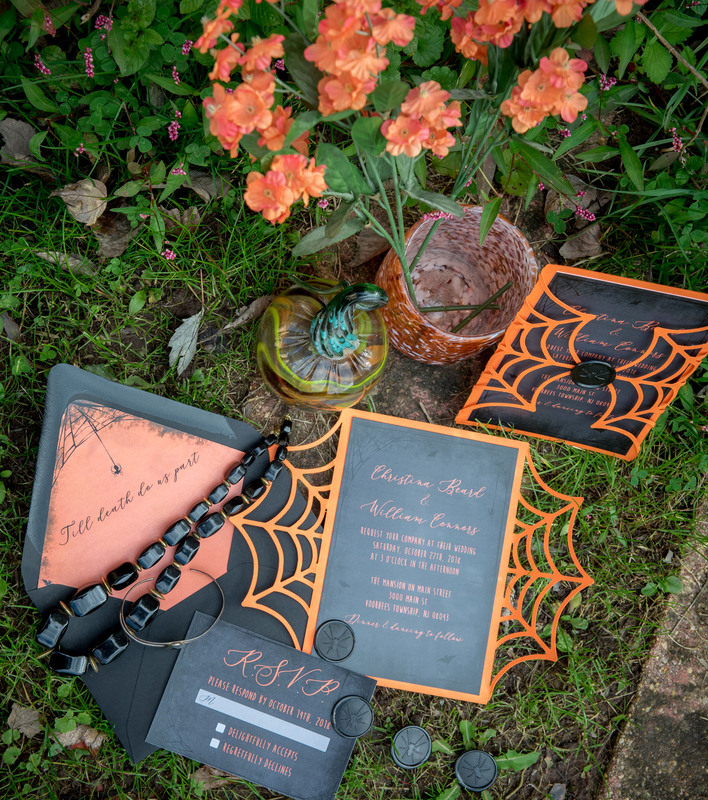 This entry was posted in Holiday, Styled Shoot and tagged halloween, invitations, Royalty Paperie, wedding invites, wedding vendors.